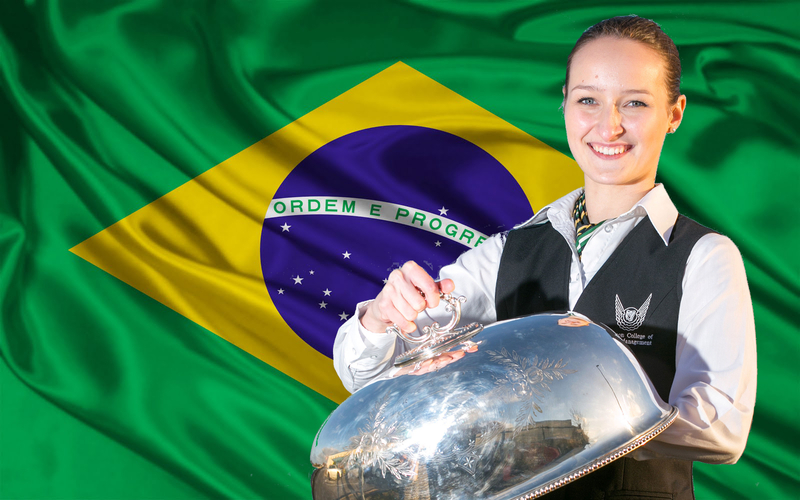 Alina Sile, 3rd year student at the Shannon College of Hotel Management has been chosen to represent Ireland at the 43rd WorldSkills competition in Brazil. Alina began her winning streak when she was awarded 1st place in the prestigious Ireland Skills Restaurant Service Final 2015 in March. The 3 finalists from this competition, Alina, Paul Geissel (Shannon College) and Adrian Zganiacz (WIT) were brought forward to complete their final assessment where Alina was selected to represent Ireland in August. Team Ireland will be made up of specialists from an array of different craft disciplines including Restaurant service. Alina has been trained by Andrew Langford, Food and Beverage lecturer at the Shannon College of Hotel Management and will now continue her training under the supervision of Ray Cullen, Deputy Chief Expert World Skills International: Restaurant Service. Alina will travel to Brazil with Team Ireland where the competition will take place form the 11-16th August.